Stock # NEC69326, Regular Unleaded V-8 6.2 L/379, Automatic, 17352 mi. LOW MILES - 17,290! Heated Leather Seats, Premium Sound System, Back-Up Camera, 4x4, Onboard Communications System, iPod/MP3 Input, Satellite Radio, Aluminum Wheels, ENGINE: 6.2L 2-VALVE SOHC EFI NA V8 F... Bed Liner READ MORE! Leather Seats, 4x4, Back-Up Camera, Premium Sound System, Satellite Radio, iPod/MP3 Input, Onboard Communications System, Trailer Hitch, Aluminum Wheels, Dual Zone A/C, WiFi Hotspot, Smart Device Integration, Heated Leather Seats MP3 Player, Privacy Glass, Keyless Entry, Steering Wheel Controls, Heated Mirrors. LARIAT VALUE PACKAGE Easy Entry/Exit Memory Driver`s Seat Feature, PowerScope Trailer Tow Mirrors w/Memory, Remote Start System, Power Heated/Cooled Passenger Seat, LED Box Lighting, LED Center High-Mounted Stop Lamp (CHMSL), Power Heated/Cooled Driver Seat w/Memory, Memory Power-Adjustable Pedals, TOUGH BED SPRAY-IN BEDLINER tailgate-guard, black box bed tie-down hooks, black bed attachment bolts and BoxLink mounting plates, ELECTRONIC-LOCKING W/3.73 AXLE RATIO, ENGINE: 6.2L 2-VALVE SOHC EFI NA V8 FLEX-FUEL Flex-Fuel badge on fleet orders only (STD), TIRES: LT275/65RX18E BSW A/S (STD). CARFAX 1-Owner Thanks to its stout engine and chassis, the F-250 is capable of taking on just about anything. 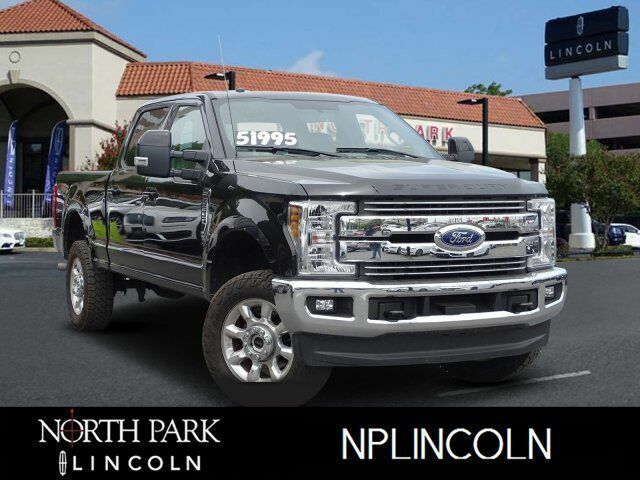 Whether it`s hauling heavy loads or taking the family to dinner, the Super Duty impresses with its smooth ride and responsive powertrain. -Edmunds.com.